Albert J. Boro, Jr. has more than 30 years of legal experience and is skilled in managing complex litigation and strategic business negotiations. 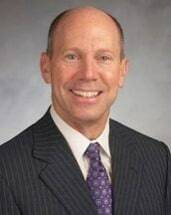 Prior to starting Boro Law Firm, Al Boro served as Senior Vice President Strategic Business Development, General Counsel, and Secretary of SoloPower, Inc., a CIGS solar panel manufacturer in Silicon Valley, and was a partner with Pillsbury Winthrop Shaw Pittman LLP in San Francisco, practicing in the firm's antitrust and litigation groups. Al served as a law clerk to United States Supreme Court Justice Byron R. White (October Term 1987) in Washington, D.C., and Judge Walter J. Cummings of the United States Court of Appeals for the Seventh Circuit in Chicago, Illinois. As a former General Counsel, Al understands the value of legal analysis in business decisions and works with clients to assess alternative strategic paths for accomplishing their objectives. He has represented companies and individuals in the technology, energy, and financial industries. Al appears in state and federal courts in California, and has successfully tried civil and criminal cases to jury verdicts. Al's business litigation practice focuses on antitrust, commercial disputes, contracts, and intellectual property matters.​ His criminal defense practice consists mainly in the defense of federal criminal charges and white collar crimes. He is a trial panel attorney on the Federal Public Defender's Criminal Justice Act (CJA) Panel for the Northern District of California, and previously served as a trial panel attorney from 1992 to 1999. Al serves as an Advisor to, and is a past Chair of, the Antitrust, UCL and Privacy Law Section of the California State Bar. He co-authored the Chapter on "Horizontal Combinations" in the treatise California State Antitrust and Unfair Competition Law, Revised Edition (2012) and the 2016 update. Al is a member of the Antitrust Section of the American Bar Association, and is a member of the Legal Ethics Committee of the Bar Association of San Francisco. Al earned his law degree from Boalt Hall School of Law, University of California at Berkeley, as well as a Master of Public Policy and a Bachelor of Arts in economics from the University of California at Berkeley.